Interior designing of the other rooms in the home is quite easier as compare to the kids’ room as it is not always a child’s play. It is one of the daunting tasks for most of the families as there are a number of options available for it. Like most of the homes opt for attractive stickers, the excess of colors on walls, ceilings, and numerous toys etc. which just leads to making the room look cramped and cluttered. It is better to go with plan and design it in a proper way so your kids enjoy spending their most of the time in their room and also get have the proper and sound sleep in their room without any disturbance. So, now you don’t need to be hassled, as here we are discussing some of the ideas to design your kids’ bedroom in an appropriate way. 1. 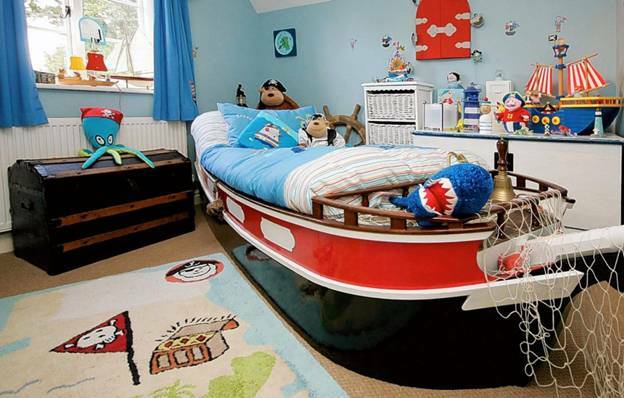 Theme inspired – Try to take your child’s interest in your perspective in terms of the designing of their room. You can try to go with a particular theme in order make their room his or her favorite place. You can also interact with them to know what they exactly want or like the most. Usually, boys like games, sports, rock bands, vehicles, action heroes etc. and on the other hand girls usually like Disney princess, flowers, nature, celebs etc. So you can take a theme according to their interest and design it according to it. You can apply related vinyl wall decals, posters, stickers etc. 2. Selecting Colors – When it comes to choosing the color for the kids’ bedroom so never go with the ordinary colors of the past generations. Gender neutral colors are more trending these days. You can opt for the colors like sage green, chocolate brown or bold colors like yellow, red, or green. These colors can be contrasted with the neutral shades of white, black, or tan to have a modern look in the kids’ room. Also, make sure the color you are choosing also well blends with your home interior design. 3. Furniture – There are innumerable options available in the market for kids’ furniture. You can choose what most your child like. For your instance, you can go with the bunk bed or loft bed or the beds of the particular theme like a superhero, car, animal etc. 4. 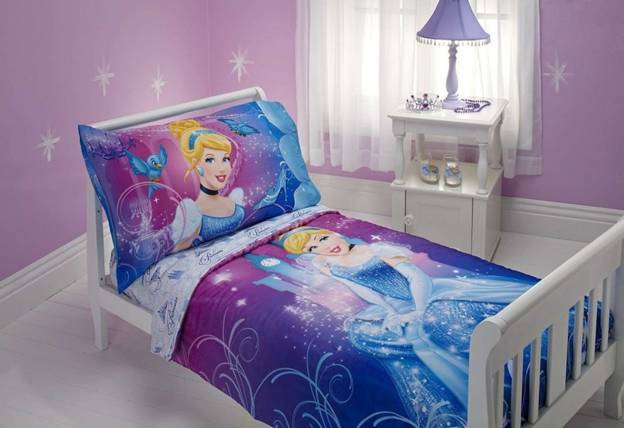 Favorite Beddings – Opt for the beddings as their comforters like you can have their favorite cartoon characters, superheroes, fairy tales or sports related characters or items etc. It is also one of the simplest and affordable ways to add the accent to your child’s room. 5. Storage – To avoid cluttering, it is import to have proper storage options in the room. This will also help them in practicing how to organize the stuff. You can use cardboard boxes or large containers where they can put their toys or knick and knacks after playing. 6. Ceiling – Create a magical night sky on your child’s room ceiling with the help of glow in the dark stickers. There are various options available in these types of stickers. You can try stars, the moon, galaxy, planets, and various types of other figures or patterns. All these can make it look interesting and soothing for your young ones. They will enjoy while lying on their bed and get the feel of the night sky in their room. 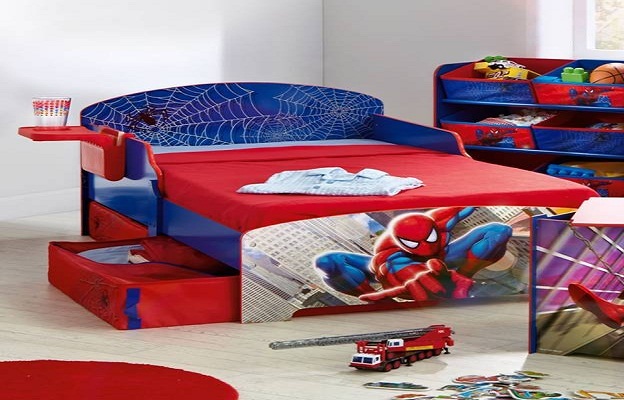 These were the simple ways of interior decoration and designing of your kids’ bedroom. You can also opt for interior designing services for some more options and for some more information related to the kids’ bedroom designing.